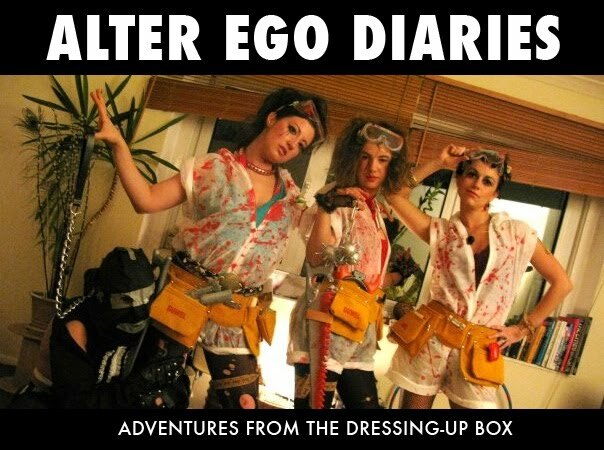 Alter Ego Diaries: Read All About It! Never have I been to more of a rubbish party. Pure Rubbish, Pure Brilliance! 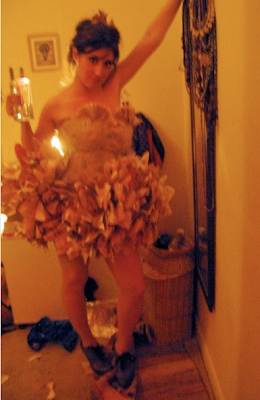 I think my costume could have pipped the prize as my all time favourite. It was on theme, it was big and extravagant, it was robust and surprisingly flattering, for newspaper. 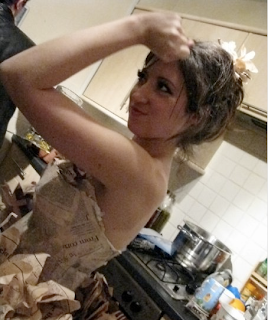 The paper mache corset worked so well in holding me in, whilst the pom pom skirt was so huge, everyone had to give me a wide birth to get from room to room. Crap couture all the way!